Researching foreign and international law topics can be difficult and complicated. Whether an experienced researcher or a beginner, we all get stumped from time to time. No need to panic, however! There are many print, subscription, online and other resources available that can help. First, you may want to begin at home. Check your institution’s catalog to see if you’ve got Marci Hoffman and Mary Rumsey’s International and Foreign Legal Research: A Course Book (2d ed. 2012). This Course Book is an excellent guide to the bibliography of FCIL and the only book of its kind. Next, you may consult Brill’s Foreign Law Guide, a subscription electronic database, which is organized by country, explains foreign countries’ legal systems, lists legal bibliography, and identifies sources of law within each jurisdiction. To find scholarly articles search the Index to Foreign Legal Periodicals (IFLP), also a subscription electronic database, which is one of the largest collections of international and foreign periodicals. The next step is to consult the many sources available freely online. You may want to consult GlobaLex, which is published by Hauser Global Law School Program at NYU School of Law. Globalex is an electronic legal publication dedicated to international and foreign law research that offers an extensive collection of up-to-date articles on international, foreign, and comparative law research. You may also want to consult ASIL’s Electronic Resource Guide for International Law (ERG), which is a collection of legal research articles (available in PDF) that offer assistance on selected international topics. Another possibility is LLRX.com, where one can access a collection of research guides – many on international and foreign law topics. If your best efforts haven’t presented a pathway to a difficult question, do not hesitate to consult our list of specialists in a variety of foreign, international, and comparative law topics. Use the Jumpstart page – List of FCIL-SIS Specialists. Here you will find an extensive list of legal research scholars organized by a foreign or international law topic, or a jurisdiction. You may contact anyone on the list for help in his/her respective specialty. These research scholars are up-to-date on print and electronic FCIL resources, some have foreign language skills, and many teach research methods in international, foreign, and comparative law. You may also pose your question to an even wider audience by using the FCIL-SIS discussion forum, the INT-Law listserv or the International Association of Law Libraries (IALL) listserv. It helps if your question is clearly and specifically articulated. The FCIL-SIS discussion forum messages go out to all FCIL-SIS members while INT-Law and the IALL listserv go out to subscribers from all over the world. Other countries such as the UK, Australia, and New Zealand have formed their own professional law library associations that have their own listservs and Lyonette Louis-Jacques has compiled a list of them. You may also want to check the FCIL blog, DipLawMatic Dialogues, to see if anyone has already written a post on the very question that stumped you. At the very least you should always feel free to consult your local academic law or general library, a law firm library, or even a court or county law library where a reference librarian can point you in the right direction. 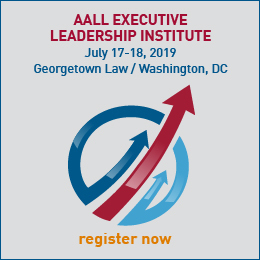 Those who like to travel can find both specialists and generalists at any of the many local AALL chapter meetings (i.e. Chicago Association of Law Libraries, Ohio Regional Association of Law Libraries, Southern California Association of Law Libraries, Association of Boston Law Librarians, and many more). These meetings often offer programs on foreign, comparative and international law. Anyone should feel free to ask a question at a program or talk to the speakers afterwards. For those who attend the AALL annual meeting, you will find that FCIL librarians and research scholars are a very open and welcoming group. They will help even if they don’t know you. You are also welcome to reach out to any of the FCIL Interest Groups (IGs) or attend their meetings at the annual conference. 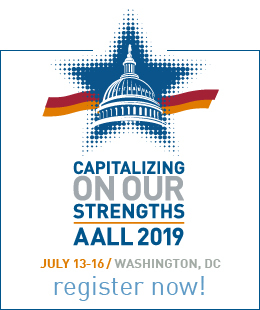 While at AALL, come and meet us and our international colleagues at the International Attendees Joint Reception co-organized by the AALL, FCIL, and IALL. At this point we hope you have found some new resources, figured out some new strategies and approaches, and hopefully met new colleagues. Happy searching! This list is organized by Jurisdiction/Region and Topic. For contact information, check the FCIL Specialist Contact List (login with your AALL username and password). If a region, jurisdiction or topic is not represented below or if you need additional help, you can also consult GlobaLex. You can get an idea of the depth of help possible by checking Daniel L. Wade, “List of Foreign and International Law Librarians Who Have Expressed a Willingness to Help Non-Experts,” FCIL Newsletter, Feb. 1993, at 19-28. The resource is now somewhat out of date, as some of the people listed are no longer around. In conclusion, people resources can really help you jumpstart your foreign and international research, so start networking today!